Exceptional architecture and energy efficiency are of the utmost importance. In creating Upper Longcross, Crest Nicholson drew inspiration from the quaint villages that contribute to Surrey’s identity. The result is a neighbourhood with its own unique character, yet which harmonises perfectly with its surroundings. This is no ordinary housing development. Upper Longcross is the first residential phase of a visionary plan which will see Crest Nicholson establish a thriving new Garden Village with opportunities to live, work and socialise within one uniquely integrated community. To find out more about how you can help shape its future, register your interest today. Set within Surrey's newest Garden Village, these stunning homes have been thoughtfully designed with spacious, open plan kitchen, living/dining areas to create a welcoming area at the heart of the home. The perfectly placed apartment windows offer beautiful views of the surrounding natural landscape, whilst also allowing natural light to flood the rooms. A new collection of 2 bedroom apartments in Surrey’s most desirable location. 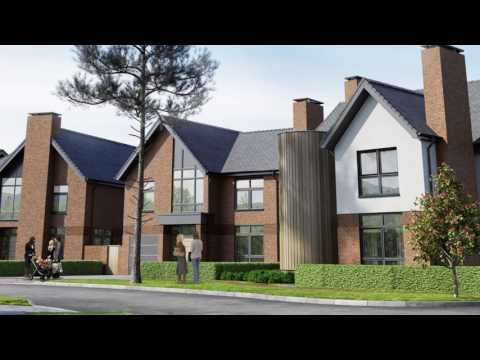 The houses at Upper Longcross have been carefully designed so that living spaces are flexible, layouts are often open plan, and gardens are spacious, enabling residents to adapt their new home to suit their lifestyle. Featuring top-quality fittings coupled with exceptional styling, the luxurious properties at Upper Longcross will delight even the most discerning of homeowners. Our range of stunning 5 bedroom houses are designed to harmonise with nature, yet demonstrate outstanding architectural features. Situated within some of Surrey’s finest countryside and presenting the ultimate standard in modern luxury. Living at Upper Longcross, residents can enjoy the perfect combination of being surrounded by beautiful Surrey countryside, yet with local amenities and a train station just a short distance away. Surrey’s newest Garden Village has been thoughtfully designed to create a brand new community of residents with sweeping, winding tree-lined streets and plenty of green open space for enjoying. Paths and cycle trails wind through the carefully retained mature woodland, connecting the new homes to Longcross station and the wider community. Special consideration has been given to the ecological balance of the village and the creation of habitats for a wide variety of wildlife has been at the forefront of its design. Many of Surrey’s most prestigious towns such as Ascot, Virginia Water and Chobham are just a short distance away, offering a wealth of retail and leisure activities. There is also a wide range of facilities planned for Upper Longcross in the future, meaning residents will soon have local amenities even closer to home. The lifestyle benefits of living at Upper Longcross are truly special, and with the first phase of properties due for imminent release, register your interest now to be among the first to call Upper Longcross your new home. Artwork from 18-year-old local artist Cameron Edmonds raised an impressive £12,000 at auction at Crest Nicholson’s Christmas Ball with money going to Variety Children’s Charity. For a stylish home this festive season, look no further than tips from Alexander James Interiors, designers of Crest Nicholson’s fabulous Upper Longcross show home. 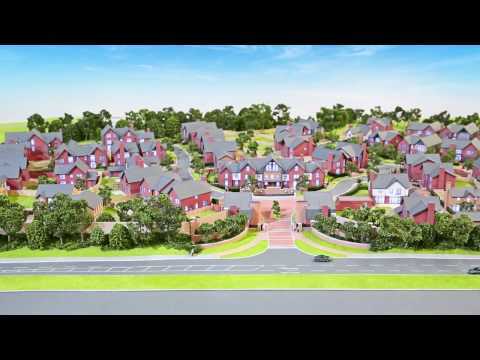 With beautiful homes and untouched countryside all around, Upper Longcross is a unique Garden Village that is ideal for families looking for their dream property.